It may not be the riot-gathering game it was at launch, but Pokémon Go continues to receive substantive updates from developer Niantic. Most recently, it introduced a catch bonus, which finally gives purpose to most of those medals you’ve been earning. 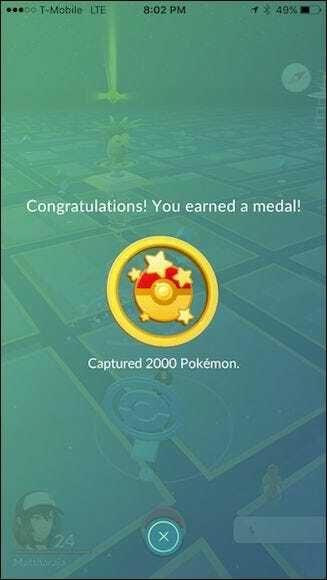 The medal system in Pokémon Go has long been a source of wonder to many trainers. What exactly are they for? Yes, it’s cool to earn medals (sadly not badges, but no sense in splitting hairs), and they give you something with which to admire and track your progress, but that’s been about it. The latest version of the Pokémon Go app (0.41.2 for Android and 1.11.2 for iOS) has overhauled the medal system such that they’re now divided into two sections. The top medals section tracks what we’ll call merit medals. They don’t have any impact on the game, they just exist for your own bragging rights. 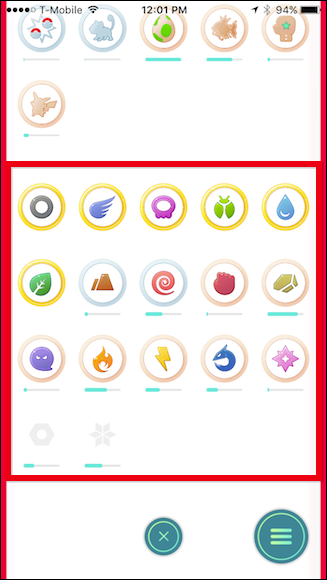 The bottom medals section, seen here enclosed in a red square, now counts towards something new called your Pokémon “catch bonus”. It’s also easier to see how far along you are to the next medal. For example, to earn a gold Youngster medal, you have to catch 300 tiny Rattata. 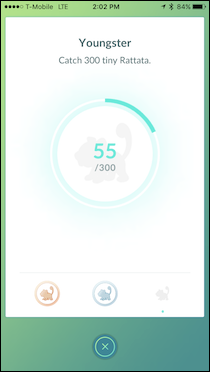 You can check your progress and how many more you need to catch by tapping on the medals icons along the bottom of any medals screen. The lower half of the medals screen is where the important changes have occurred. To explain how they work, let’s check out a catch screen. Here, we’ve stumbled upon a Nidoran. You will notice now that there is a small icon that appears at the top, as indicated by the arrow. 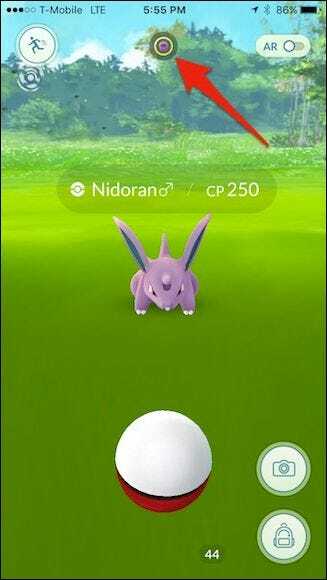 Nidorans are a poison-type Pokémon, which correspond to the Punk Girl medal. If we open the medals screen and tap on the Punk Girl medal, we see we’ve already earned the gold level and that affords us a +3 poison-type catch bonus. Here, a Magmar has appeared. 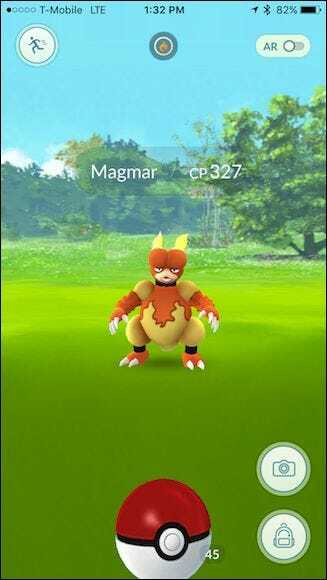 Magmars are a fire-type Pokémon. 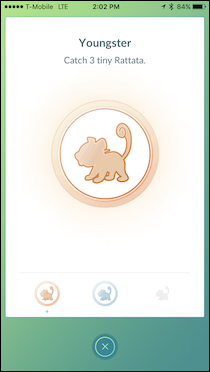 Fire-type Pokémon will earn you Kindler medals. 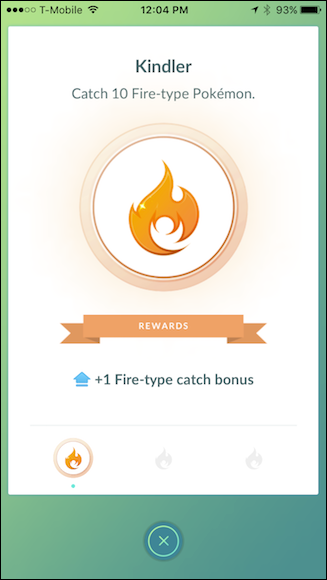 In the following example, we’ve only earned a bronze level medal, which nets us a +1 fire-type catch bonus. Finally, sometimes, certain dual-type Pokémon may have overlapping medals. Pidgeys, for example, earn not only the Schoolkid medal for normal-type Pokémons, but also Bird Keeper medals, for flying-type Pokémon. However, you will only earn the average for dual-type Pokémon, so though the catch bonuses add up to +6, it’s only possible to earn +3. So, what do all these catch bonuses do? First, they don’t actually give you more points when you catch something. You won’t earn 103 XP versus 100 XP. Instead, the catch bonus is supposed to make catching Pokémon easier. It’s unclear exactly how the new catch bonus works, but most Pokémon Go users speculate that it is a percentage. This makes sense, since it meshes well with Pokémon base capture rate, and also works with all the other multipliers in the game, such as the different types of Pokéballs (normal, great, ultra), throw types (nice, great, excellent, curveballs), razz berries, and so forth. To understand this, we first have to explain the theory behind how catch rates in Pokémon Go work. 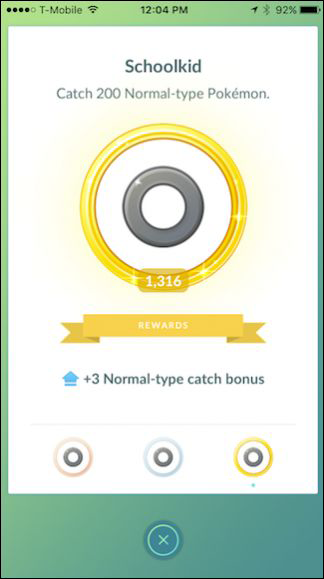 Remember, this is theoretical, the exact numbers may not line up and don’t really matter, but it does clarify the game’s catch mechanics and how the new catch bonus works. When you happen upon various Pokémon species, they all have a specific base capture rate. Pidgey, Caterpie, Weedle, Rattata, and other common Pokémon are said to have a base capture rate of 40%; Charmander, Pikachu, Bulbasaur, and Squirtle supposedly have about a 16% base capture rate; rare and evolved Pokémon have lower base capture rates, and so forth. The base capture rate differs from the capture chance, which is based on trainer level. As a trainer levels up, the capture chance decreases. So, if you encounter a Magikarp, which has a base capture rate of 56%, as a level 1 trainer, you have a chance of capturing that Magikarp 100% of the time. As a level 25 trainer, your capture chance decreases to 42%. This capture chance exists before you throw the ball, which is where the multipliers come into play, and obviously lends credence to the importance of catching as many Pokémon as you can because a level 1 trainer is obviously not going to have a +3 gold medal for any Pokémon type. So, theoretically a Pidgey, with a 40% capture chance, and with a +3 multiplier, could mean you now have a 43% chances of catching it. If you add in other factors such as throw type, Poké ball type, and razz berry multipliers, your capture chance increases considerably. Unfortunately, we don’t have an official Niantic mathematical formula to give you an idea about how this all breaks out. 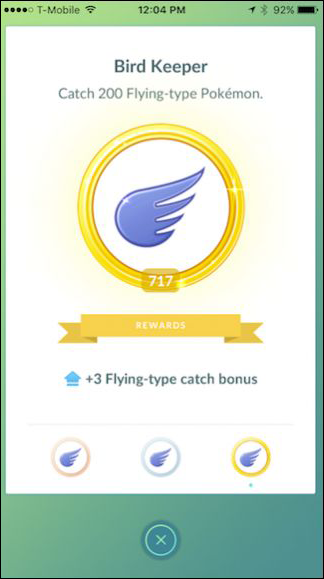 Though we can tell you that empirically, the new catch bonus system makes it easier to capture common Pokémon (Pidgey, Rattata, Magikarp), and overall we’ve noticed we use fewer resources to catch all Pokémon types. There’s clearly an incentive now to catch more Pokémon because the more you catch, the easier it is. The new catch system isn’t as simple as the previously-added buddy system, but in many ways it adds considerably more value for serious trainers who are still dedicated to grinding it out and leveling up.